I had great success with the Atkins weight loss diet for quite some time. 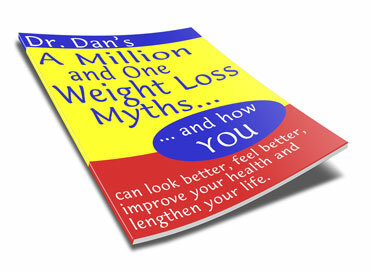 In fact as long as I was willing to follow it strictly, I was able to lose weight and keep it off. I stayed on the diet for about a year, sometimes adhering to it more precisely than others. From a standpoint of being easy to understand, it was not hard to follow. Finding carb counts for foods is really quite simple. There are many online sources for carb counts and anything prepackaged from the store has the carb counts on the label. It is not difficult to read Dr. Atkins’ book and follow the prescribed counts and food suggestions. I really could not say that I was hungry on this diet because many of my favorite things to eat are on this plan including meat, cheese, nuts, butter (albeit with nothing interesting to put it on), eggs, and green vegetables. Artificially sweetened beverages are allowed along with unsweetened coffee or tea in unrestricted amounts. Portion sizes are very generous with many of the foods, too. There are no special foods that have to be purchased, although there are low carb bars and shakes and such that may be bought to take the place of a snack or meal. Counting carbs somehow seems to be easier and less restrictive than counting calories, but that could easily have been just a state of mind. The hardest part was leaving off flour -- bread, cakes, cookies, cereals and the like. Being a bread and sweets lover, I struggled with this. However I did find many sweets recipes that used artificial sweeteners and were low carb. One of my favorites was pecans sprinkled with Splenda and roasted in butter. The diet could be carried out fairly well in restaurants, especially since many tend to have a section for low carb dieters. Special occasions were a little harder but were still manageable. It was one of the easiest plans I have ever used in terms of being able to follow it for extended periods. I hope I do not have to do it again; however, if I had to lose weight, this plan would probably be a top choice. I would recommend it to others who like the foods recommended for this plan. That, I think, is key. I would warn that it may not be the healthiest diet out there for those who may have heart issues or problems with cholesterol as it can be high in fat.